Attention! This version is original and differs from the one in Russian. The most mysterious things happen in an exceptionally ordinary way, openly and without any magic. 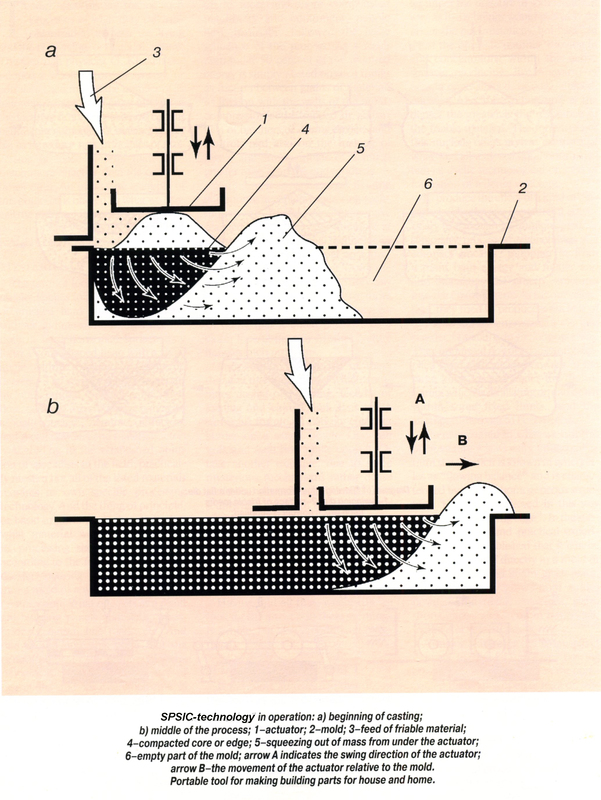 The technology of Self-condensation of Powders by Stimulated Induced Current (SPSIC) is based on artificial reproduction of the natural effect of the self-consolidation of loose powdered materials, discovered by engineer N. E.Korolev and called "flowing edge". This effect involves formation (under certain conditions) of a local dense fluid zone of simultaneously moving particles: earth, soil, crushed stone, sand, asphalt concrete mixes, sawdust, coal and ore trifle, ceramics, high-heat metal powders, seeds of sunflower and many others. 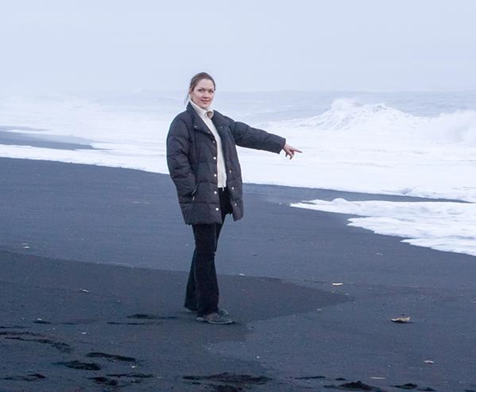 Effect of "flowing edge" most prominently is seen in nature when a "wind-induced" wave of the dense path is formed on the sandy coast at the edge of water. Artificially this effect can be reproduced by continuosly introducing powder material in a limited area by special devices - superchargers "Russkiye Kachely®" (Russian Swing). These superchargers can appear in various designs. During each upward movement of supercharger powder is added under upon the entire width of the product. The supercharger pushes this powder into the form, and each portion of material creates a new layer which presses the previous layer deeper, relaying the movement and pressure futher down. After the start of the effect, supercharger moves in the direction of the pressed out powder. Thus the product builds up by generating a flowing edge in the given direction. As this process is an open one, air and surplus moisture are pushed outside and a solid uniform structure is manufactured. -efforts are spent only to force next small portion of the processed material. To illustrate the uniqueness of SPSIC-technology and the minimal effort required to create a dense structure of the earth mixtures by SPSIC - technology, following experiment was conducted. 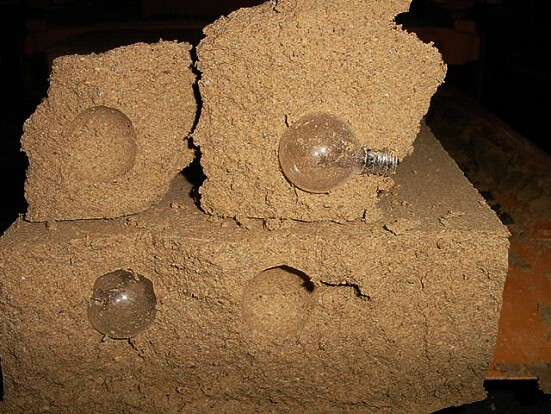 Prior to forming of the block ordinary light bulbs and beetle larvae were placed in a form. The blocks were then molded using SPSIC method, and then it turned out that no bulbs, no larvae were squashed in the process. The technology is also known as the "Russian Kachely (Swing)" and "zoned pump". - to reduce consumption of materials of equipment by 1.5 - 3 times and the energy intensity by 5 - 10 times. General advantages over traditional technologies sprits technology can be found here. SPSIC-technology has no counterparts in the world and is protected by the Service of the Russian Federation patients and know-how. "Русские качели®» and «Russkiye kachely®» are registered by Rospatent as trademarks. 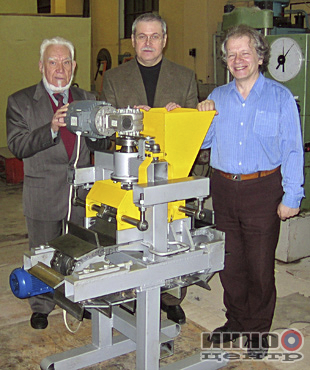 and also to grind, mix and compress friable materials in various branches of industry. Authors will consider any offers on cooperation.